BOISE, ID: The Boise Hawks, short season A affiliate of the Colorado Rockies, Impact Radio Group and 101.5 KOOL-FM, have announced their renewed partnership to broadcast all 76 Boise Hawks games and the Northwest League / Pioneer League All-Star Game on 101.5 KOOL-FM for the 2019 season. The station's listening audience covers the entire Treasure Valley. 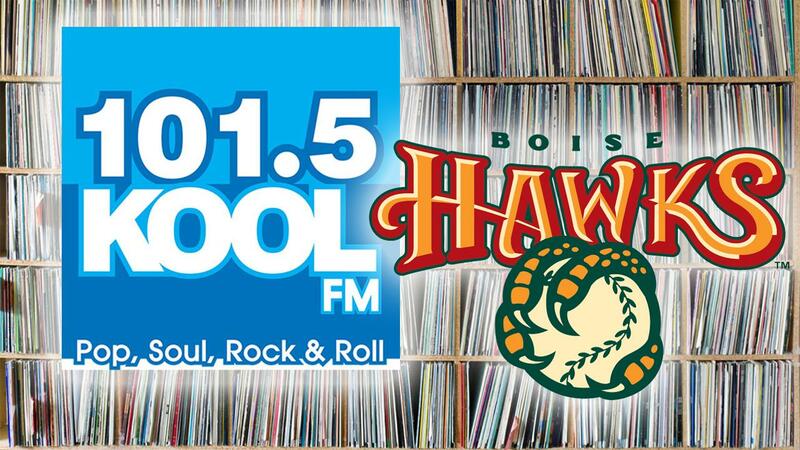 "We're very excited to have 101.5 KOOL-FM return as the home of the Boise Hawks," said KJ Mac, Program Director for 101.5 KOOL-FM. "With the music we play - pop, soul, and rock n' roll, Hawks baseball is a natural fit. Our listeners remember growing up listening to baseball at night on the radio along with the songs we play. Those hits - along with Hawks baseball - just might jog those memories back." "This is truly a great partnership between the Hawks and 101.5 KOOL-FM." said Hawks General Manager Bob Flannery. "What a perfect fit - great music during the day and Hawks baseball on at night." Hawks radio broadcasts begin Friday, June 14 when the Hawks will open the season on the road against the Salem-Keizer Volcanoes. The club's first home game of the 2019 season follows three days later when the team opens the season at Memorial Stadium on June 17 against Everett Aquasox at 7:15 p.m. The Northwest League / Pioneer League All-Star Game will be broadcast live on Tuesday, August 6. Live coverage begins 15 minutes prior to the start of each Hawks game with the Axiom Fitness Pre-game Show. Fans will also be able to listen online on at BoiseHawks.com and via the MiLB First Pitch and TuneIn Radio mobile apps. The Hawks are the Treasure Valley's top stop for affordable, family entertainment. The Boise Hawks announced that they will be hosting the Northwest League / Pioneer League All Star Game this year. Deposits for all season seat plans (guaranteeing tickets to the Northwest League / Pioneer League All-Star Game) are currently being taken. To stay up to date on all things Boise Hawks, follow us on Facebook (www.facebook.com/boisehawksbaseball) or visit www.BoiseHawks.com.